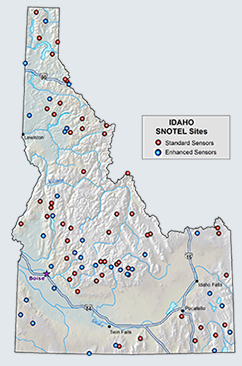 Snotel sites in the Kootenai Region are reporting close to two feet of new snow loading since February 3rd, according to the forecast there is substantially more on the way. This new snow has fallen on a number of surfaces that will result in poor bonding. Crusts from the last warm period, followed by surface hoar that developed during the cold, clear and calm conditions conditions last week and a rapid loading of new snow will set the stage for VERY DANGEROUS AVALANCHE CONDITIONS. Conditions are such that we may see many naturally triggered avalanches in the mountains this week. Backcountry travelers should avoid playing on or below any steep slopes until this new snow has had ample time to settle. A quick look at the mountain weather forecast below indicates that this may be a good time to stay out of the mountains and instead practice your shoveling techniques at home. Join us at the Lakeside Inn in Trout Creek at 6 PM on February 7th for a 2 hour talk on avalanche rescue and recovery. 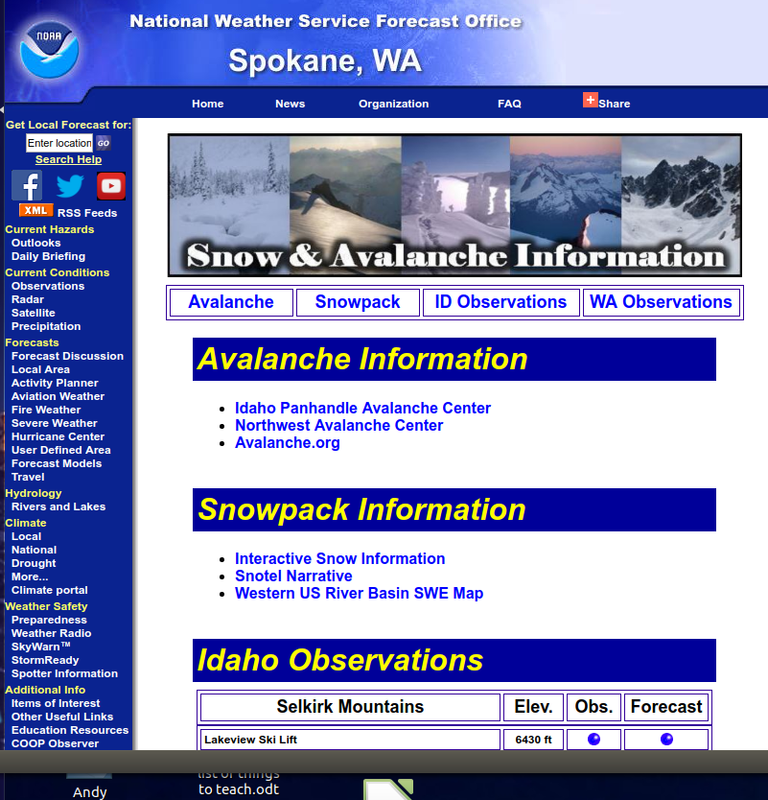 If you are out and about please submit your avalanche observations by clicking the button to the left. Check out the avalanche conditions in the Panhandle at http://www.idahopanhandleavalanche.org/current-advisory.html for conditions across the border. round of prolonged intense heavy snow Sunday night through Monday. will occur, causing further degradation of conditions.